Crazy Cowboy Cookies | wanna come with? I’ve never been sure what a “cowboy cookie” is. 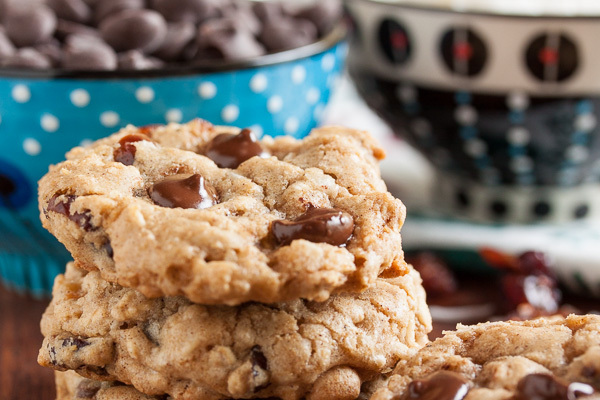 It’s not a term I ever heard growing up, but as I began baking and exploring recipes, it’s a type of cookie I saw turn up in a lot of different recipe books. And there don’t seem to be any rules for what ingredients are involved, except that they all seem to contain a lot of ingredients. Is it just a regional name for a kitchen-sink-type cookie? 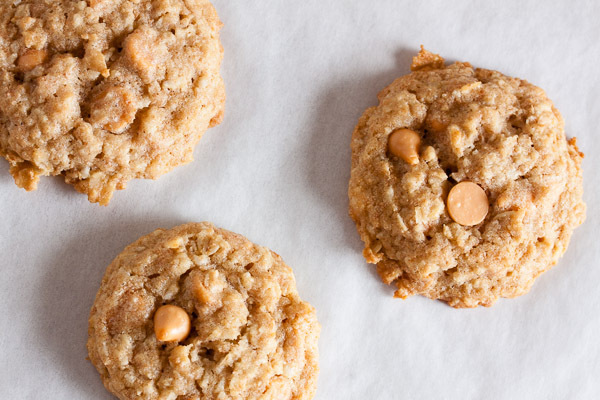 This particular cookie contains oatmeal, coconut, and butterscotch chips. It sounded like a good combination, and yes, yes it is. 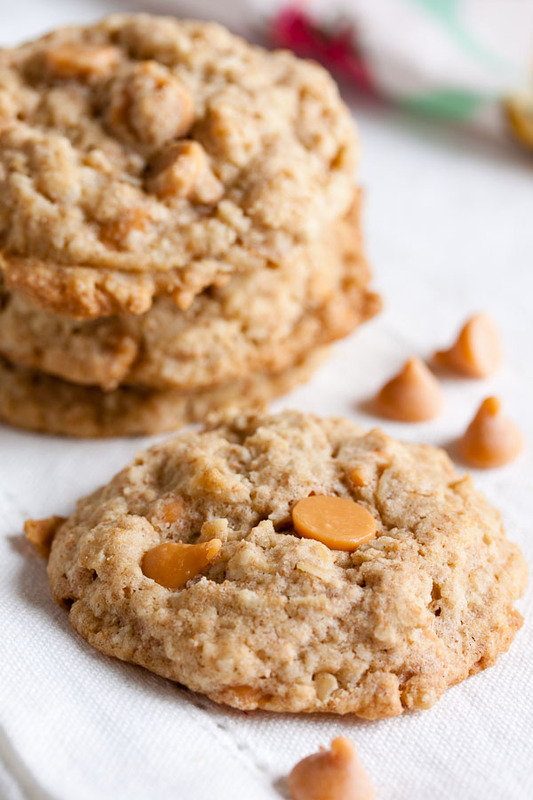 I’ve only made a few recipes that contain butterscotch chips, but each time I do, all my coworkers are thrilled. 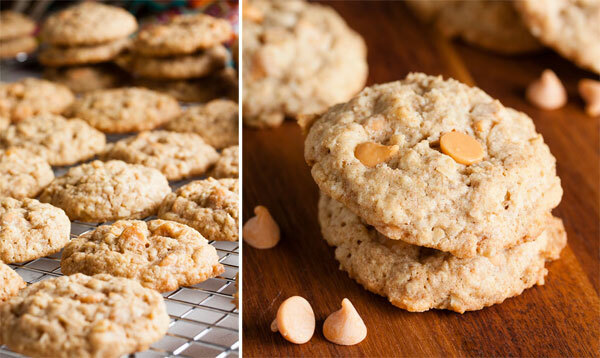 Butterscotch seems to be one of those flavours we all know and love from childhood. But I rarely see it around anymore. And whenever I bake something containing butterscotch chips, everyone enjoys and reminisces and wonders why it’s not more common. Why isn’t it more common? This is another of those cookies that I wasn’t that impressed by fresh from the oven. I mean it was okay, but not fantastic. When I took them to work the next day, however, my coworkers went crazy for them. One went so far as to say they were even better than last week’s cookie, and that’s saying something (last week’s cookie was insanely good – go make them!). So I tried one. Yes, omg yes. Much like last week’s cookie, these get better the day after baking. 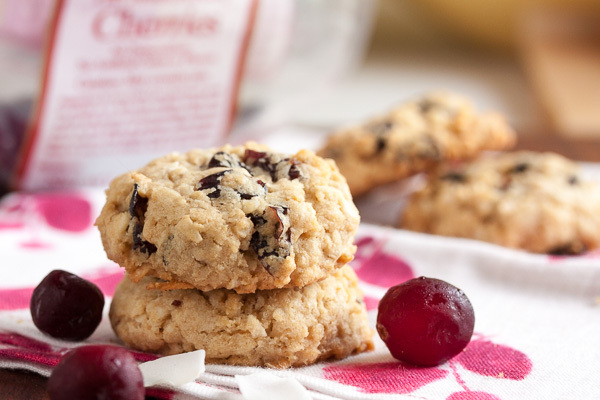 The flavours blend and intensify and it’s hard to believe it’s the same cookie. The dough is very simple to make, and once it’s all together it smells amazing. 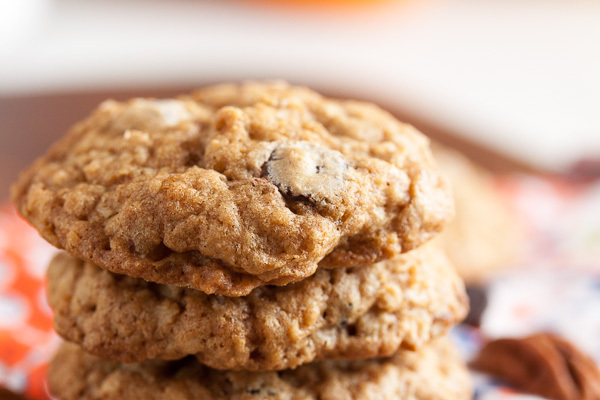 The finished cookie is soft and chewy, and you get the flavour of all the big ingredients – coconut, oats, almond extract – but predominantly butterscotch. 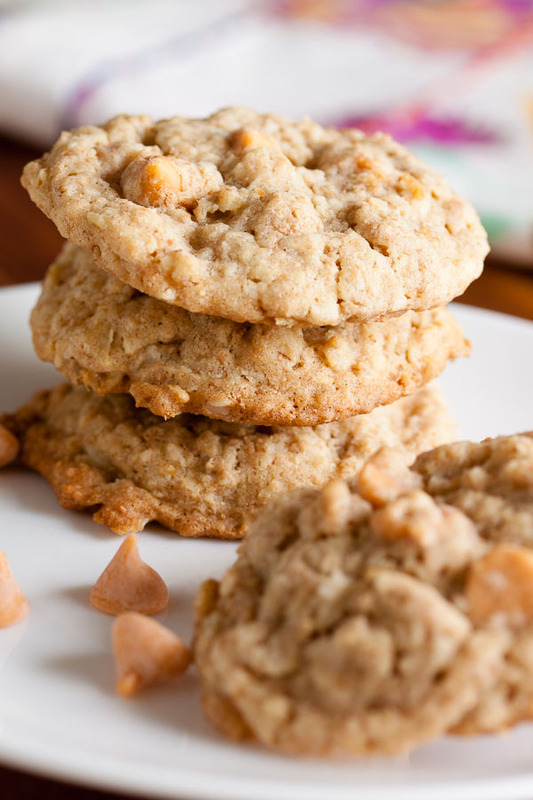 Adapted from Tracey Zabar's One Sweet Cookie, recipe by Mario Batali and Benno Batali. The recipe says it makes about 20 large cookies, but using a scoop slightly larger than a tablespoon, I got about 60 smaller cookies. In a medium bowl, whisk together the flour, salt, baking soda, baking powder, rolled oats, and coconut. Set aside. In the bowl of a stand mixer fitted with the paddle attachment, beat the butter and sugars together on medium speed until light and fluffy, about 3 or 4 minutes. Scrape down the sides of the bowl and add the eggs, one at a time, beating well after each. Add the almond extract and beat again to incorporate. Turn the mixer down to low and add the dry ingredients, mixing until just barely combined. 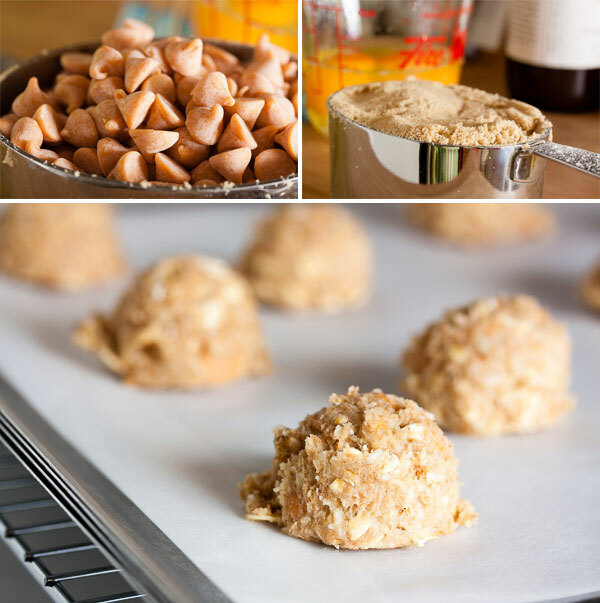 Remove from the mixer and add in the butterscotch chips either with a spatula or by hand. I prefer to knead inclusions in by hand to ensure they're distributed evenly. Using a small cookie dough scoop or a tablespoon, portion the dough onto the baking sheets about 2 inches apart to allow for spreading (if you'd prefer larger cookies, use a soupspoon to portion the dough and space them about 3 inches apart). Bake for about 10-11 minutes, until lightly golden brown around the edges, rotating the baking sheet halfway through. 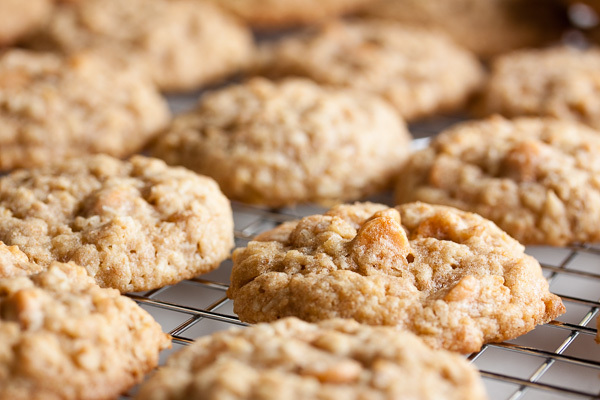 Remove from the oven and allow to rest on top of the stove for about 3 minutes, then transfer the pan to a wire rack to cool for a few minutes more before removing the cookies from the pan and allowing them to cool completely. This is the first recipe I've ever seen that calls for a resting period on top of the stove like that. I have no idea why... Anyone? What a sweet and welcoming space you’ve created here Laurel. These look wonderful! Thanks Roy! This is still the only recipe I’ve ever seen that calls for a stove-top resting period.